Trident Pharm is a consumate provider of a full range of medical and healthcare related products and services. As a registered pharmacy, we also provide medicinals to professionals likes nusring homes and clinics. 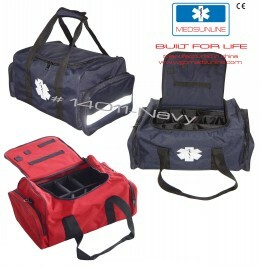 We have EMS products for paramedics and ambulance services and can fully fit up a clinic or first aid rooms with equipment and supplies. We provide indrustrial safety equipment and supplies along with medical and equipment supplies for ships/aircraft with certifications. We provide therapists with equipment including specialised CP wheelchairs and accessories, supply homecare products for the chronic sick and geriatric like diapers and feeds etc. Our supply of rehab equipment is at amazing discounts and also distribute general wellness products like massage chairs. We have a training arm for CPR/AED and First Aid training and also connect nurses and Drs for on call services. Dont' forget to check out or reused corner and take advantage of our buy back schemes.